Love Me Cursive Text Nail Wraps Only $5 + FREE Shipping! You are here: Home / Great Deals / Amazon Deals / Love Me Cursive Text Nail Wraps Only $5 + FREE Shipping! Add a little something more to your nails with these Love Me Cursive Text Nail Wraps for just $5 + FREE shipping! I LOVE these wraps! They would be perfect to wear on their own, over polish or on one nail as an accent nail! And, this is one of the cheapest prices I’ve seen for nail wraps! 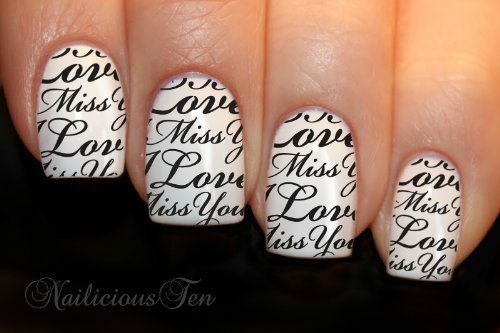 12pcs Love Me Cursive Font Nail Wrap on a clear water transfer Designed, Produced and Retailed only by NailciousTen. Great for a night out, Valentine day or any other occasion.